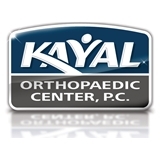 Kayal Orthopaedic Center (Glen Rock) - Book Appointment Online! The NJ orthopedic surgeons at Kayal Orthopaedic Center, PC pride themselves in administering outstanding and innovative orthopaedic care. The practice has built its stellar reputation on patient referrals and word-of-mouth recommendations, and is a regional leader and pioneer in minimally invasive orthopedic surgery, sports medicine & arthroscopy, platelet rich plasma injection therapy (PRP), hip arthroscopy, foot & ankle reconstruction, and spinal disorders. At Kayal Orthopaedic Center, you're in the hands of an elite surgical team that's focused on YOU. From high-tech computer imaging to outpatient joint replacement surgery, Kayal Orthopaedic Center's preeminent surgeons lead the industry with their sophisticated approach to minimally invasive NJ orthopedic care. Dr. Ronna was fantastic. She explained things very clearly, and made sure I understood what she was talking about before proceeding. The staff was very polite and quick, and I felt a level of comfort I don't often feel in a doctor's office. Overall, a great experience. After my injury 2 years ago. i have not gotten the help i deserve from previous doctors. I traveled from Dutchess County ny (1hr 20min) to see this doctor. Dr. Amit Sood was one of the nicest most understanding orthopedic doctors i have seen since my lower back injury. He was very thorough with his examination and understood all of my symptoms. He seems to care very much for his patients. He explains everything very clearly and is very knowledgeable about lower back problems. I wish i saw him sooner. I would recommend anyone and everyone to this office.